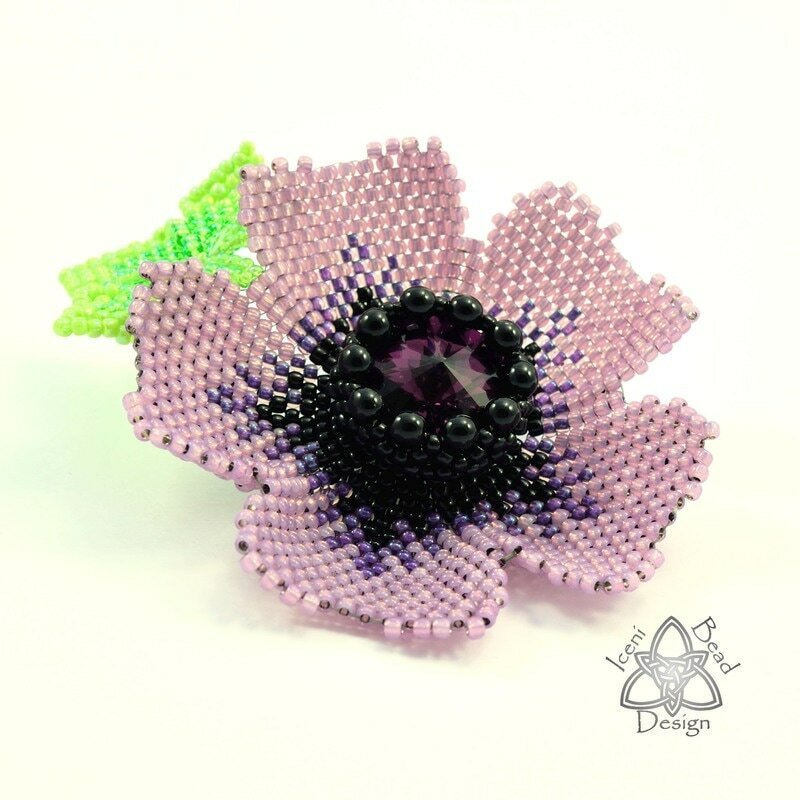 The vivid colour and dark centre of the Anemone flower are replicated here in this beautiful peyote stitch brooch. 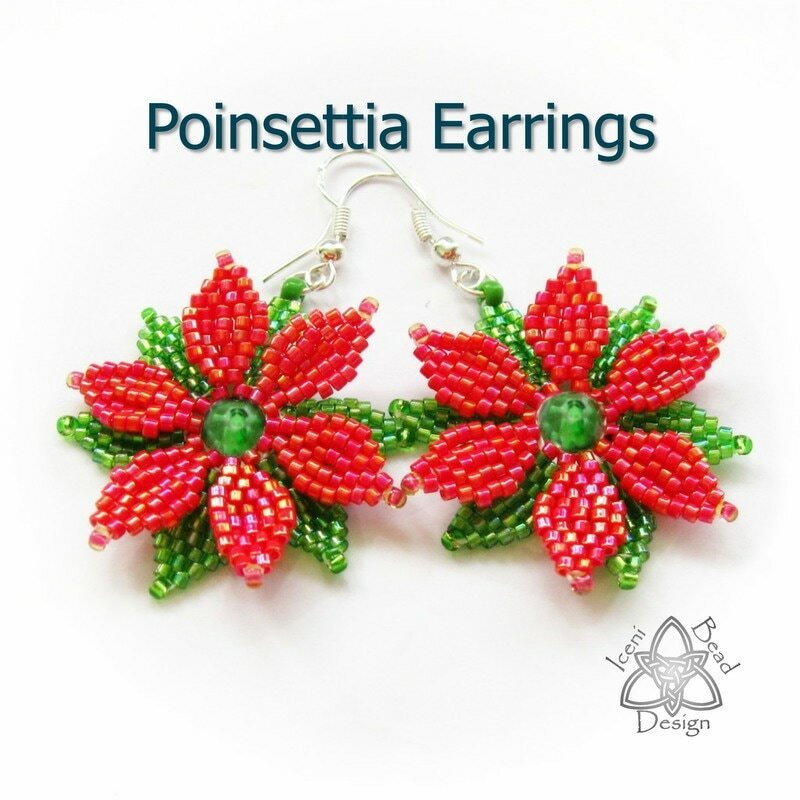 Such are the variety of colours in the flowers, the choice of colour combinations for this brooch are endless. This tutorial offers fully illustrated, step-by-step instructions for the flower, the rivoli centre and the optional leaf. 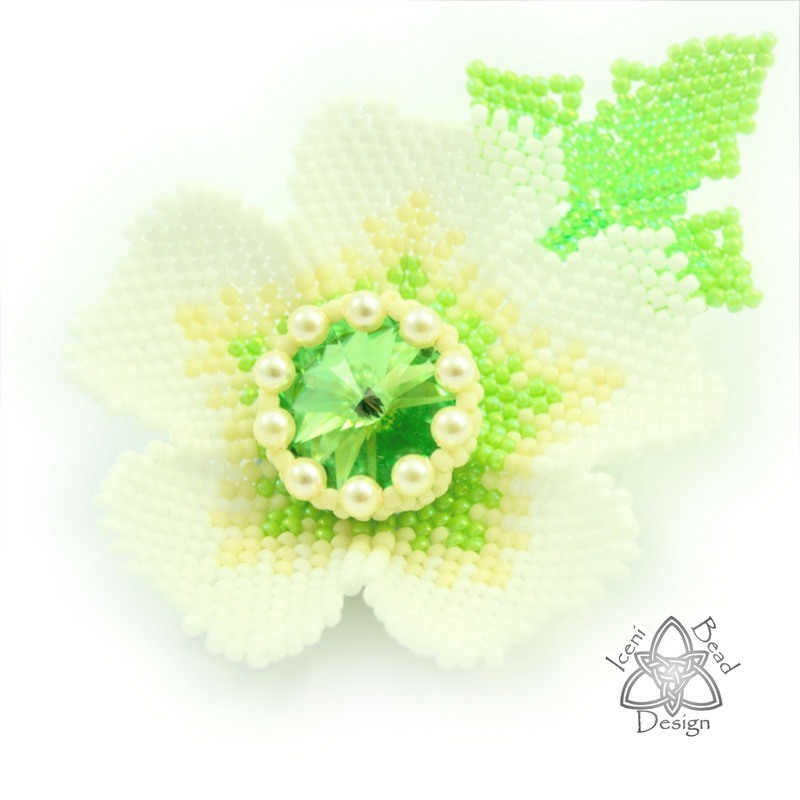 Each step is detailed so a beginner can make this gorgeous brooch too. 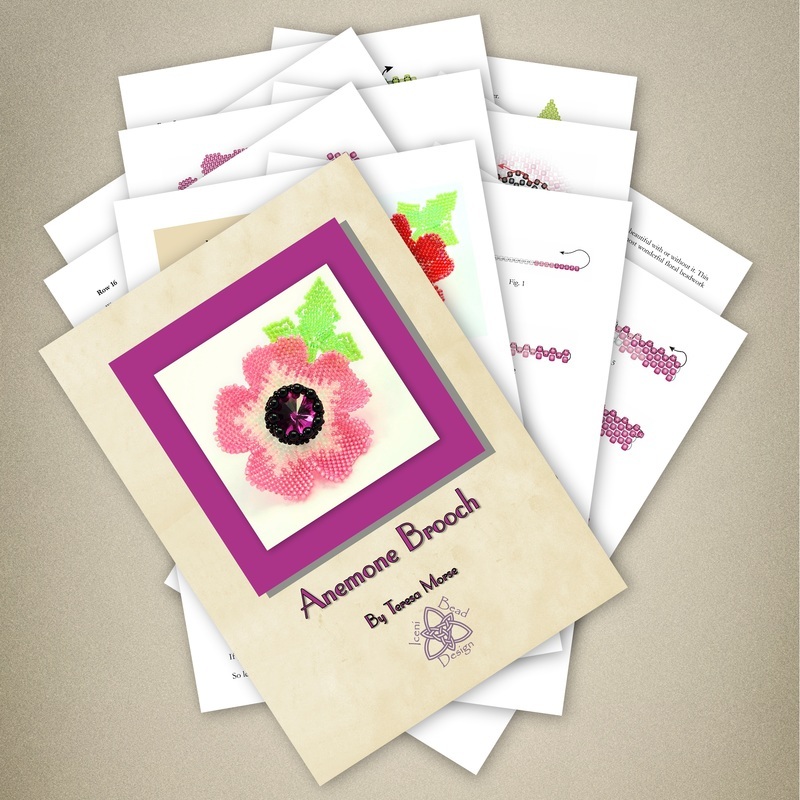 The tutorial is 11 A4 pages, including front cover. 1 x 18mm crystal rivoli.